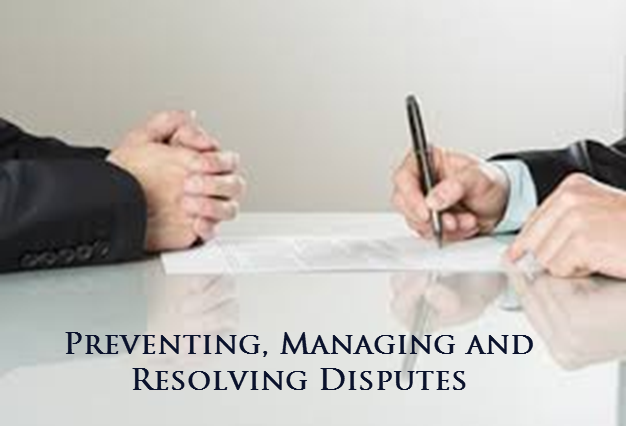 The essence of an ADR practice is to provide proactive advice on how to prevent and properly manage disputes. Effective management of disputes is particularly important for companies doing business globally as well as in cases where there is an ongoing relationship between the parties. However, it should be the overarching goal of all businesses, from large corporations to SMEs, whether domestic or international. When disagreements escalate, there is a high cost, not only in monetary terms, but in the time and resources that are allocated to the fight, rather than the business, particularly for small businesses. This can often be avoided by choosing suitable dispute resolution procedures and drafting appropriate clauses, but unfortunately, parties frequently neglect this key aspect during contract negotiations. and understanding why some DR processes more applicable to certain types of disputes or at certain stages. Requiring negotiation or mediation prior to arbitration or litigation, when appropriate, in step clauses is one means of achieving this. Proper choice of law, forum and administrating institutions make for more effective and expeditious management and resolution. Planning for disputes that inevitably will arise is business dealings is the best commercial strategy. Thinking outside the box – looking beyond litigation to settlement negotiations, mediation, arbitration or other forms of ADR can also enable parties to preserve an ongoing business relationship despite the existence of disagreements.